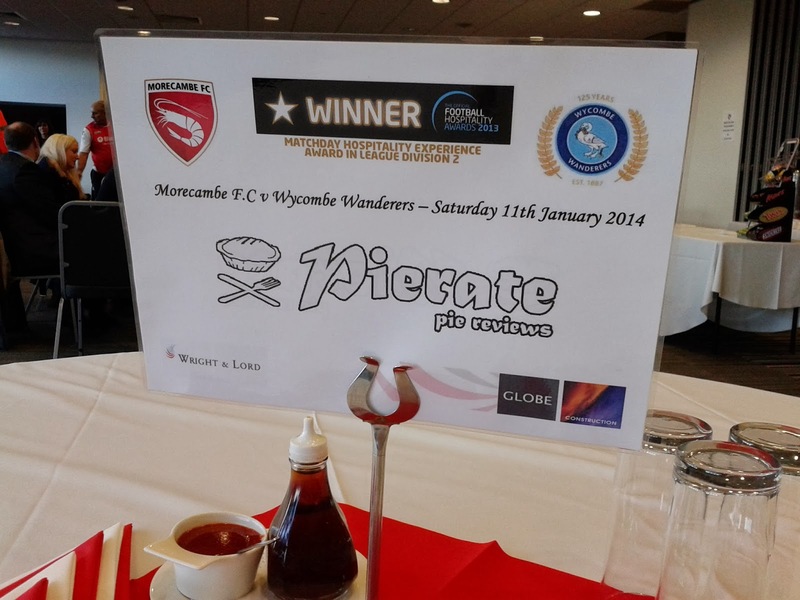 Clearly not satisfied with hitting the back of the net with their meat pies, the Pierateers returned to their VIP (Very Important Pie-eaters) table at Morecambe Football Club at half time to find a six-piece apple pie and two custard jugs awaiting them! Having looked round and found no such pie on anyone else’s tables, we assumed it must be for pie rating and got to work digging into the apple pie. Placing the slices of pie into our bowls, you could not possibly miss how packed full of fruit this pie was. It was top capacity at its finest, with no room for anything else! This pie really was deep and had no chance of being reprimanded like some of the supposed “deep” fruit pies we’ve eaten lately. In fact, it scored a perfect 7 on capacity! The appley content was very good too, with it not being too sweet or too sour, but just a perfect blend. It meant you got a bit of tang and knew you’d been hit with a good fruit hit, but it enhanced rather than detracted from the fruit pie experience. This fully encased apple pie had some delicious pastry which made it immediately stand out too. It was quite light, soft and airy pastry, which could have perhaps done with being a tad crispier in Pierateer RAS’ eyes but which was pretty much spot on for Pierateer SJL (who likened it to almost being sponge-like). The one main downside to this pie was that it was a bit pale in colour. We would have liked to have seen it a bit more golden in colour, which might have made it a slight bit crispier too. However there is no doubt this was a top pie and at £3 for a restaurant desert (for this would be sold in the restaurant area, rather than to the football watching public) this seemed pretty spot on for cheapness too. 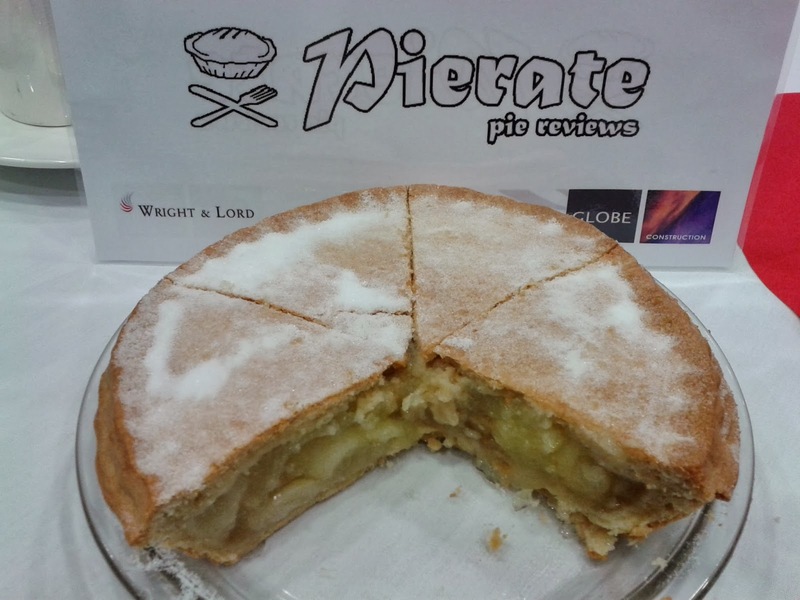 It really did taste homemade and was certainly one of the best apple pies we’ve rated. A surprise to find it sold at a football ground, but then finding out Head Chef Graham’s background in restaurants we weren't surprised he had a top apple pie up his sleeve! Delicious and well worth doubling up on pie for!